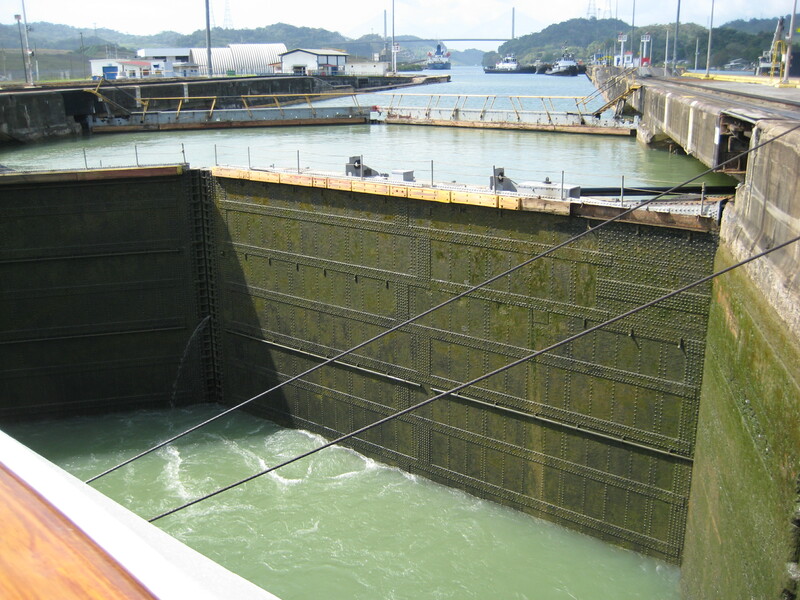 The Panama Canal, a masterpiece of engineering is considered to be the Eighth Wonder of the World and has shortened the trip around the continent of South America by 7,000 miles. First perceived by King Charles V of Spain, who, in 1523, prompted by Balboa and Cortez, decided to make a survey of the canal area. The survey was completed in 1524, but the enormity of the task disillusioned the Spanish and discouraged any attempts at construction. In 1894 the Gold Rush brought about both the completion of the Panama Railroad across the Isthmus and the development of the West Coast of the United States. 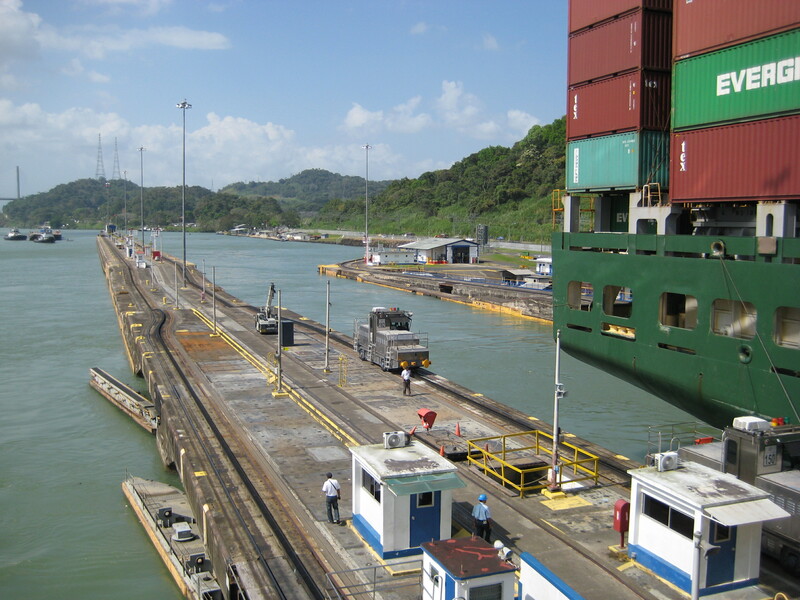 After Panama’s independence from Columbia in 1903, Panama and the United States signed a treaty authorizing construction of the Panama Canal. The United States guaranteed Panama’s Independence and, for the sum of $10,000,000, Panama granted the United States power and the authority within the then “Canal Zone”. In addition, the United States agreed to pay an annuity of $250,000 beginning nine years after the ratification of the treaty. This annuity was increased to $430,000 in 1936 and to $1,930,000 in 1955. On May 4, 1904 the United States purchased the rights and properties of the Canal construction from the French Canal Company for $40,000,000. Ten years later, after the loss of over 6,000 lives from Yellow Fever and Cholera, the Panama Canal was completed at a cost of $387,000,000. In 1999, the government of Panama was granted full authority of the enterprise. 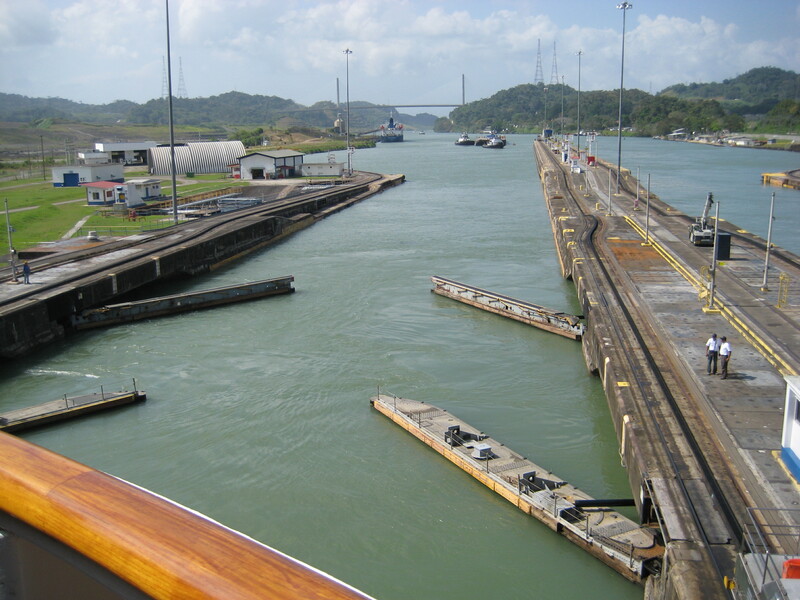 The canal transit from the Atlantic to the Pacific took us approximately twelve hours with the exact timing of the lock transits being unknown due to the number of ships transiting on any particular day. The weather was hot and muggy with temperatures in the 90’s and humid. While it is in the rain forest and often rains most every day it was dry for our entire transit. Many of the folks onboard had transited the canal more than once or twice and we even spoke with someone who had transited the canal twelve times. Even so, many people were excited to be out on deck, taking photos and sharing their past transit experiences. 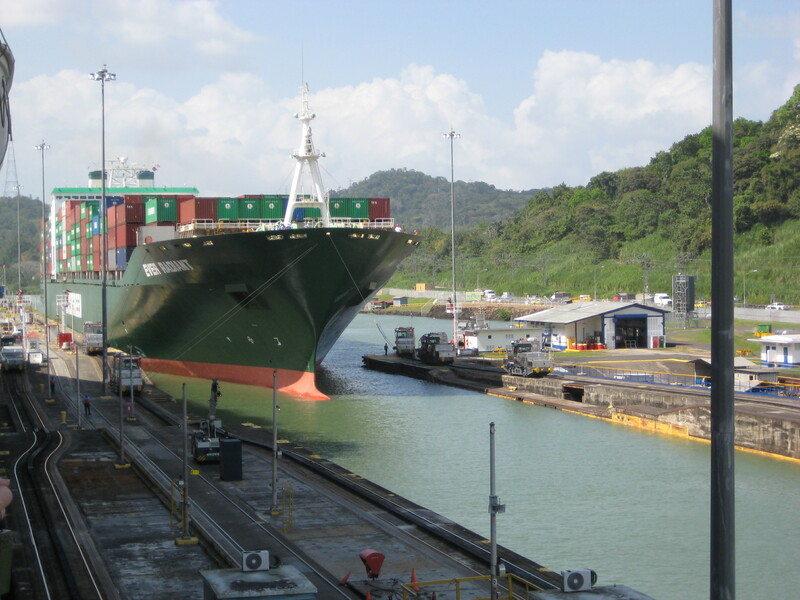 Panama is in the process of adding a new section of canal at both the Atlantic and the Pacific ends to accommodate today’s much larger cargo ships and U.S. battle ships. The canal currently has a capacity of 14,000 vessels transiting annually and when the expansion is complete will be able to double its capacity. The new sections of canal are well under construction and expected to be completed in a couple more years. The new canal sections will include new locks with rolling lock gates rather than swinging lock gates. The current canal will also require dredging to accommodate today’s larger vessel hulls. The canal employs a work force of 9,500 men and women and has invested over $1.5 billion in maintenance and improved infrastructure over the last decade. The entertainment this evening was a Champion Ballroom Dance couple who performed a variety of South American dances to celebrate our arrival in South America. They were excellent dancers although the show was a bit lackluster. It may have been that they had aged a couple of decades since they were Champion Ballroom Dancers. The husband looked tired the entire show.